Pretty in spring and summer and gorgeous in fall, barberries are dense, spiny-stemmed, low-care shrubs that can tolerate climate extremes and are well-adapted to New Mexico conditions. 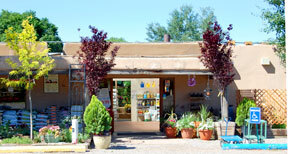 They are widely used for hedging, and easily size-controlled by annual pruning. 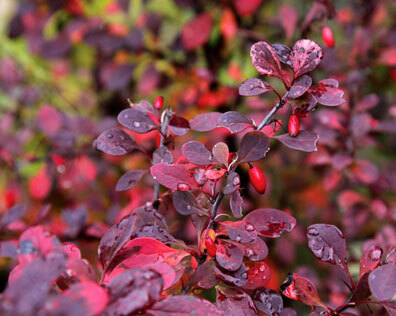 The crimson barberry shown here has dark green leaves that turn yellow, orange, and red before dropping in late fall. They produce bright red berries that can persist through the winter.